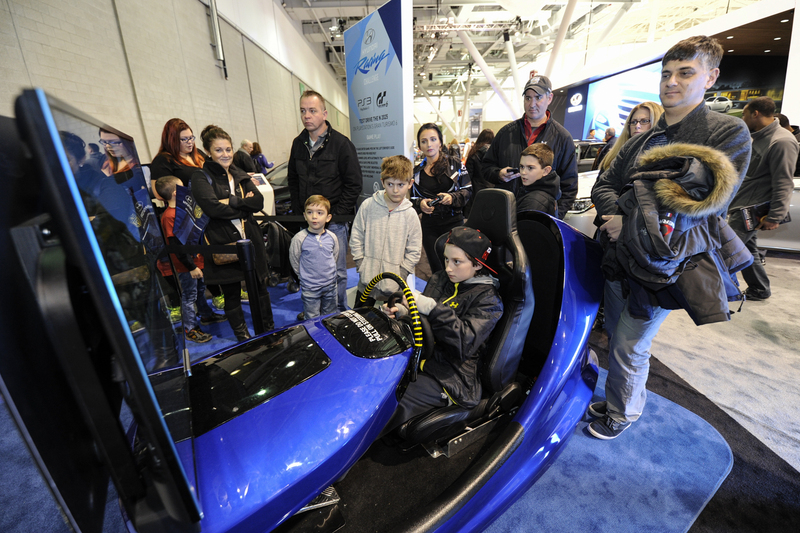 There was no shortage of eye candy for car and RV lovers alike this past Martin Luther King Day weekend in Boston as the New England Auto Show and Boston RV & Camping Expo took over the Boston Convention & Exhibition Center for 5 days of jam packed, 4-wheeled fun! 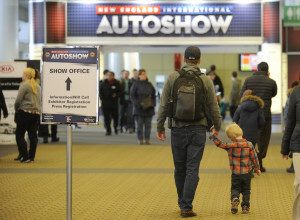 The 2016 New England Auto Show was a slam dunk (even if the Pats game on Sunday was not). With over 500 of the latest models scattered all over the show floor, including the all-new Jeep Grand Cherokee SRT Night and the 2017 Lincoln Continental, it was a car fanatics playground. 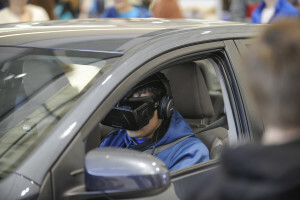 And the action didn’t end inside – just a step outside of the lobby brought you out to our Ride & Drives, where attendees could take a spin in the newest introductions from Kia, Ford, Mazda, Chevy & Toyota all five days of the show. 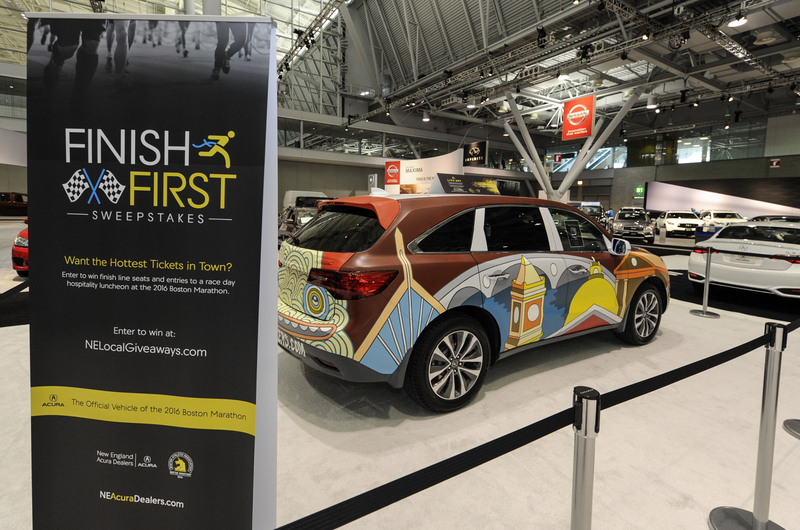 Car shopping has never been this easy! And if cars aren’t your thing, there was more. Simon Pagenaud, driver of the No. 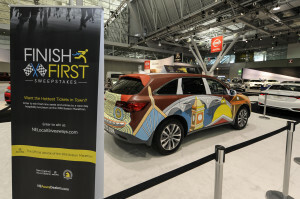 22 Team Penske Dallara/Chevrolet, came for a meet and greet and to sign autographs in the Grand Prix Display on Saturday while attendees got to see art in motion as one of the official pace cars for the Boston Marathon was painted live inside of Acura’s display. 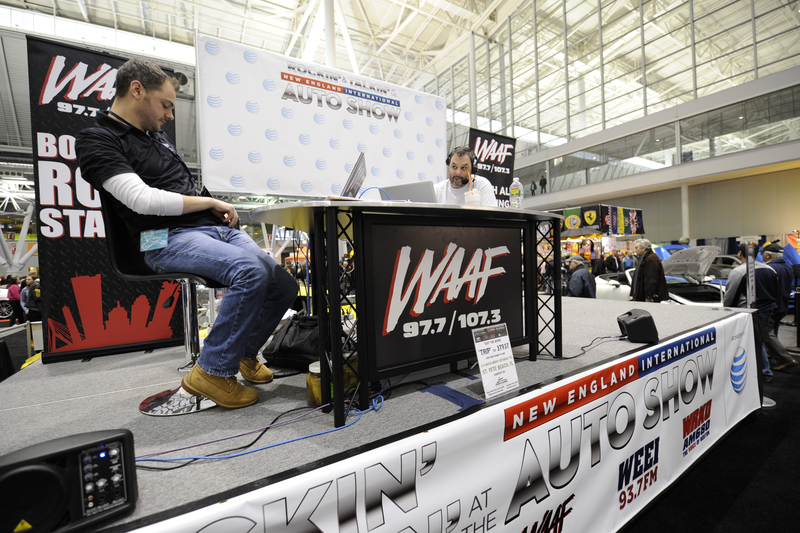 Car fanatics and Pats fans alike came out in droves on Monday to meet Tarrell Brown from the New England Patriots and get his autograph on their favorite piece of Pats paraphernalia. And the Entercom Radio Stage was back for it’s second year with live broadcasts from your favorite Radio personalities and the Comcast Xfinity Lounge, where attendees could take a load off, watch some t.v. and flip through all those car brochures they collected! 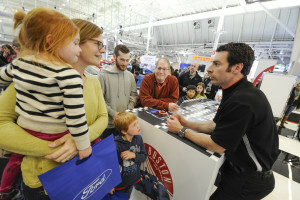 But The Boston RV & Camping Expo wasn’t far (literally, right next door). If you were in the market for a new RV or just looking to plan your families next outdoor adventure, you didn’t have to go too far! With 16 of New England’s largest RV Dealers representing over 100 lines and more than 50 Campground and Accessory vendors, it was one-stop shopping for the outdoor enthusiast. There was also a line-up of useful seminars for the new RV owner, like Intro to RVs & The RV Lifestyle and RV Safety & Security. And Diana Savani, RD, LDN, dietician for Hannaford Supermarkets conducted a live cooking demo titled Nutritious & Delicious Campground Cooking, which gave RV & Campers some fresh and healthy ideas for their next trip. But perhaps our biggest hit, a new addition to the Show this year, was the Cabela’s Kid-Safe Archery Range, a chance for kids and adults alike to test their archery skills on the show floor. Cabela’s also provided the Ultimate Outdoor Package that was awarded to one lucky Show survey taker that included amazing prizes like a six-person tent, two sit-upon kayaks with paddles, binoculars and more! 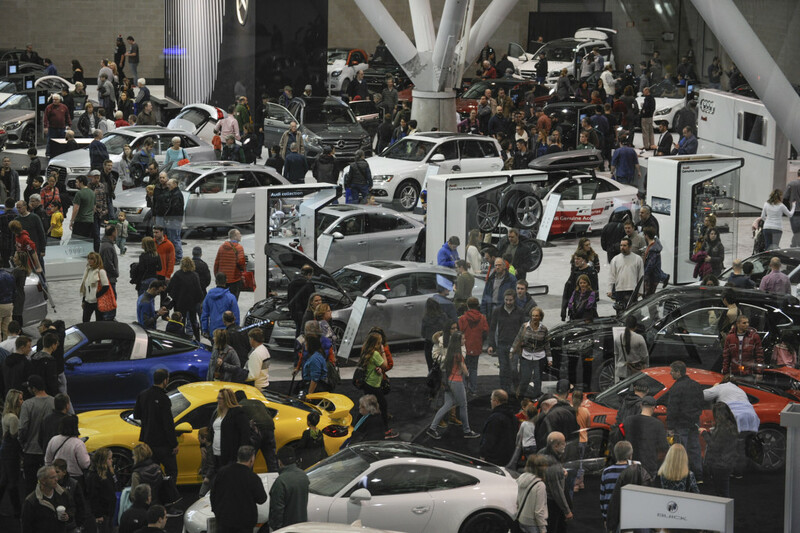 So if you were looking for something to do this past Martin Luther King Day weekend, don’t say that we didn’t give you some great options at the Boston Convention & Exhibition Center! 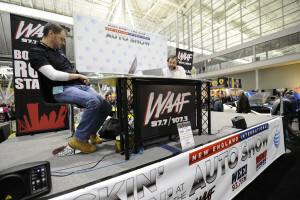 And if you missed it, we’ll be back next year, same time, same station! 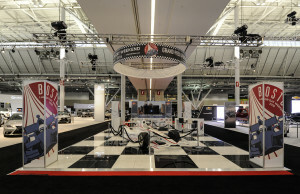 Visit www.bostonautoshow.com and www.bostonrvexpo.com for all the latest updates!